Everyone's at it and Lily's no exception with the release of her new album this February. 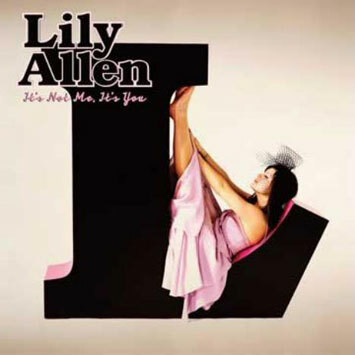 Following up to her top 10 2006 album 'Alright Still', 'It's Not Me, It's You' features 12 pop-esque but slightly darker tracks including collaborations with Mark Ronson, Robbie Williams, Jamie T & The Kaiser Chiefs. 'It's Not Me, It's You' is released February 9th, but in the meantime, head over to Lily's MySpace to hear one of her new tracks, Everyone's At It. Lily has just added some dates to her UK tour and has now made it into a European tour!! Hurrah!